​THANK YOU to BLACK WALNUT CAFE! for donating to our mission! ​Thank you to all the artists who participated this year. ​Each of our students have voted and we allow them to make the choices themselves. 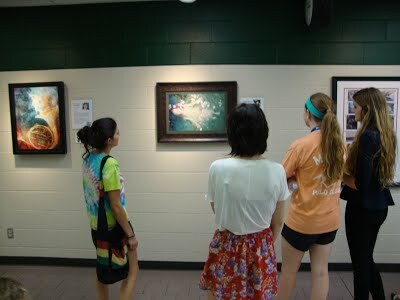 The pieces were displayed in the cafeteria and the kids were provided insight into each of the works. The kids then vote, we abide by their decisions and determine financially how many of the top pieces we can purchase. In the end, it all comes down to funding. Framing, lighting and conservation are funded solely by donations. 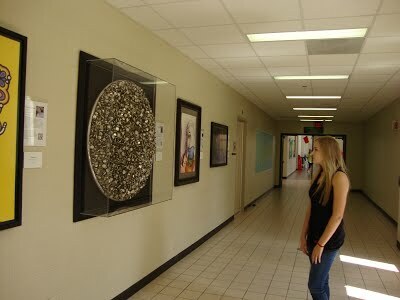 only student-selected, student-purchased, permanent collection of art in our area. We are pleased to announce our collection is available for school field trips! There is no fee associated with the tours. Private tours of the collection also available upon request. 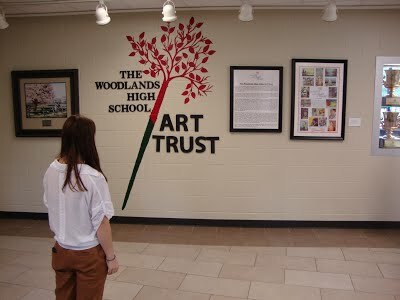 to art throughout each day but also is used to enrich curriculum in areas such as language arts and social studies. solicits donations to pay for the framing, display and conservation of these pieces. Our collection currently consists of 39 pieces that are placed in seven "galleries" around our school. 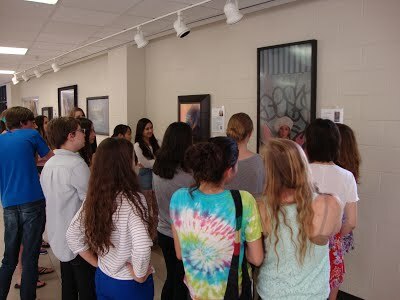 we did not want the students at the 9th grade campus to miss out on daily exposure to our collection. 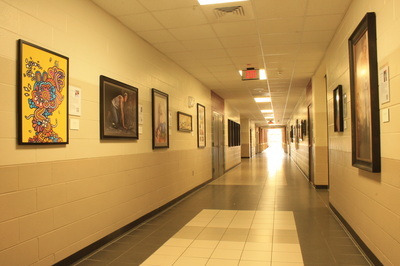 Therefore, we have duplicated our collection at the 9th grade campus and they have replicas of 38 of the 39 pieces.